From the creators of The King and I, The Fox and the Hound, and the Swan Princess comes the first animated feature length film about Islam's Prophet. 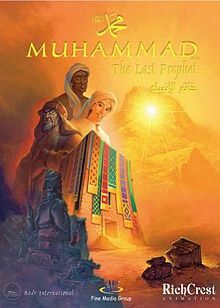 This groundbreaking film is set around 1400 years ago during the early ages of Islam. The film relates the events that unfolded and led to the rise of a renewed religion in the Arabian Desert, eventually spanning 7 continents and counting 1.6 billion adherents around the world. This movie aims to introduce the story of Islam and its Prophet to new generations in the appealing and accessible medium of animation. Though the Prophet is not personified, sound and cinematography are employed in the telling of his story. The film is capped off with a stunning soundtrack by Emmy-award winning composer William Kidd. Perfect for the family and for encouraging interfaith dialogue, this film is a definite must-see!